Singapore based InstaReM is entering the European market via Lithuania. The regulator Bank of Lithuania issued an Electronic Money Institution (EMI) license to InstaReM, which is already operating in more than 50 countries around the world. InstaReM is a new-age enterprise that is disrupting of the current process of expensive and inefficient remittances, providing near-live FX rates, low transaction fees and speed to the tech-savvy consumers of today. The operating license in Europe is one of the planned moves of “InstaReM”’s rapid international expansion. The Electronic Money Institution license issued by the Bank of Lithuania will enable InstaReM to offer an online cross-border money transfer platform that will allow users in the European Economic Area to use the services anytime and anywhere. During the licensing process, InstaReM had been advised by the Vilnius, Singapore, Luxembourg and German offices of ECOVIS – a global consulting firm operating in more than 65 countries, making this project truly international. 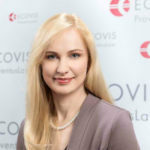 – says Inga Karulaitytė-Kvainauskienė, Attorney-at-Law ECOVIS ProventusLaw. The arrival of InstaReM means good news for Lithuanian consumers. With growing competition in the payment services market, consumers will receive cheaper and more diverse services. 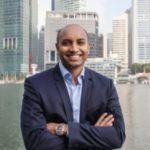 According to InstaReM’s co-founder and CEO Prajit Nanu, the company is providing a hassle-free, digital cross-border money transfer platform. It will allow Lithuanian residents and Europeans within the EU to enjoy the service anytime, anywhere via mobile or web. The head of the company reveals that they have more plans for Lithuania in the future. 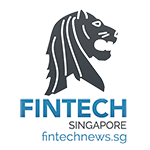 – says Mr. Nanu.According to InstaReM’s co-founder and CEO Prajit Nanu, the company is providing a hassle-free, digital cross-border money transfer platform.